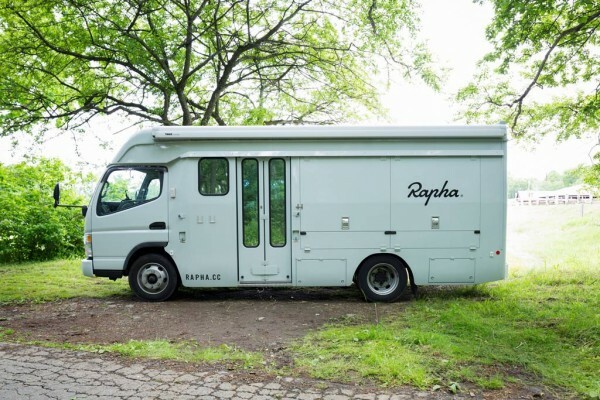 We designed the fixtures and vehicle that serve as a mobile store and cyclist ride hub for Rapha, the cycling wear brand. 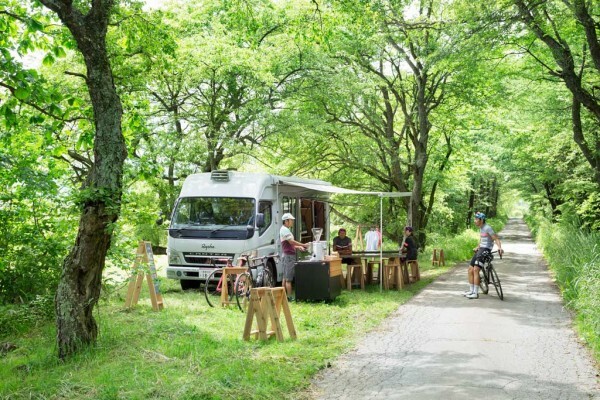 This cyclist hub offers an espresso service and sells goods at cycling events and races across Japan. 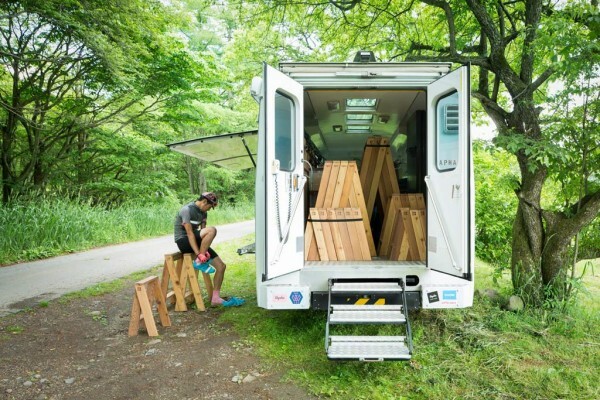 Deliverables included a design for the fixtures and vehicle that would help to create a space for communication. 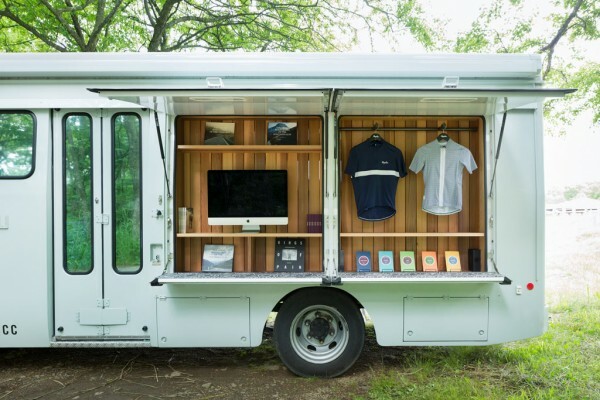 The vehicle was originally used as a mobile library before being converted and fitted with hanger, chairs, table, and espresso machine wagon so that it could compactly accommodate a mixed load. Deck materials were used to consolidate the diverse fixture materials in order to create a unified space that harmonizes with the outdoors. 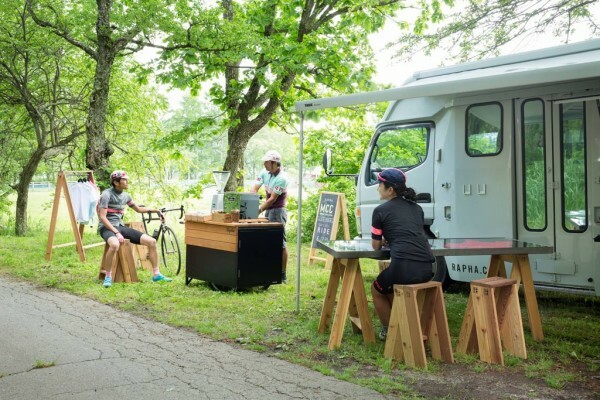 This allows for a variety of applications such as a counter for serving espresso, a table used to display clothing, and hanger fixtures and POP Stands derived from Torafu-designed AA Stools. 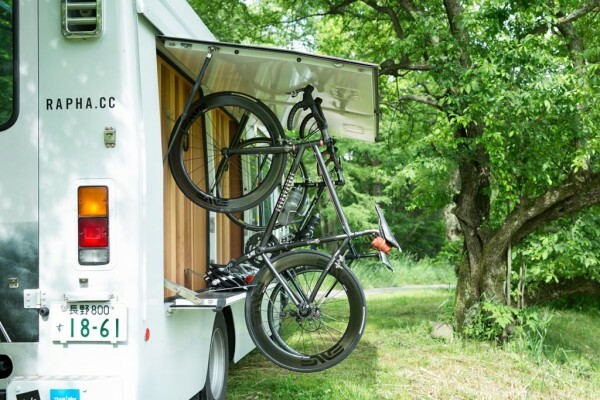 The vehicle features an awning that juts out overhead while the side serves as a display shelf and bicycle rack. 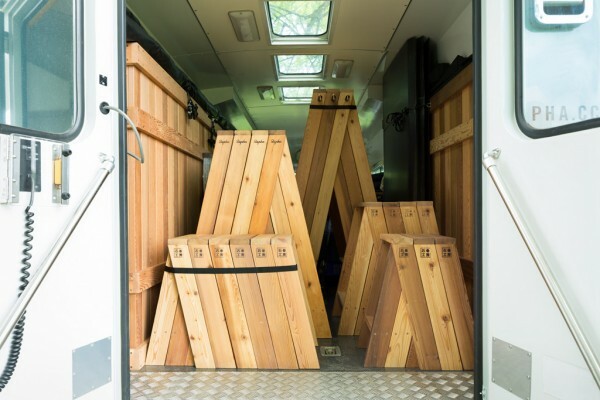 We designed the vehicle to efficiently store the fixtures within by taking advantage of the stacking feature of the AA Stools, etc. 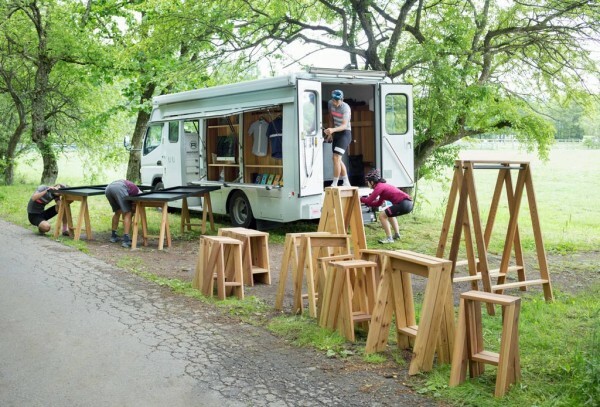 We strived to create an easy and temporary community space by prioritizing the element of minimal compact storage.